This week was an interesting one we started Monday with Blake having his flu vaccine so we kept him off Pre-School and I took him out for a Costa treat after which he loved. 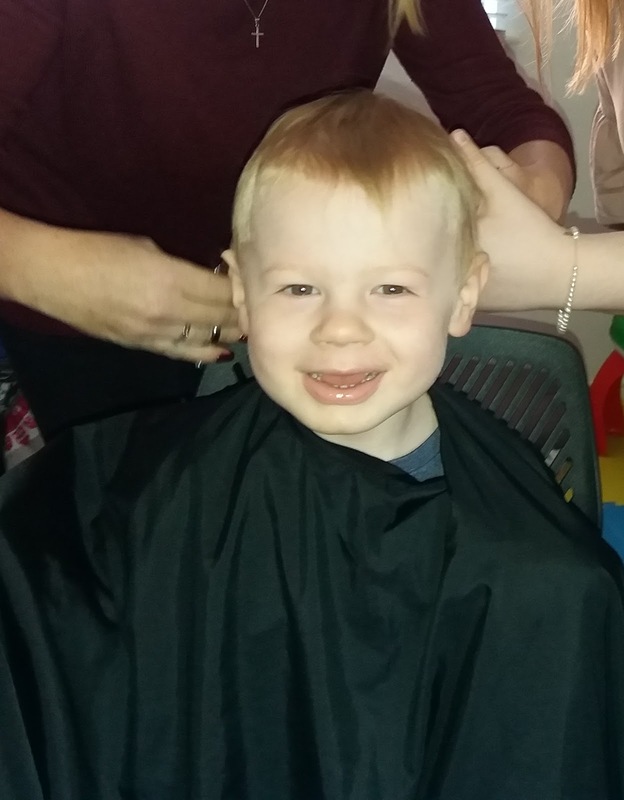 Tuesday which is for this weeks photo Blake had his first ever hair cut. It was getting a bit long and uneven and as my hairdresser was coming over I asked her if she would mind doing Blake's too. As you can see he loved having it done and was so happy sat in the chair having it done. The rest of the week was pretty boring apart from Friday when I had a meeting with Pre-School and speech therapist and make a plan for the next steps with helping Blake. Saturday my mum visited and we went out for lunch Blake loved spending time with Nanny and having plenty of cuddles.